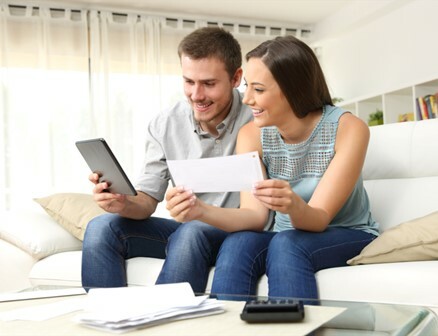 As a prospective buyer progresses through the home-buying process, they will receive numerous letters from lenders at significant steps along the way. However, there is one letter that is more important than the rest – the “clear to close” letter. The clear to close letter is essentially the letter of final approval from the lender. It means that any conditions that had to be met for the loan to move forward have been met, whether those conditions are from the buyers’ side or the lender’s side. Once all the loan conditions are met, a clear to close letter is issued. At that point, the parties in the transaction can then schedule a closing and enter the final stages of the home-buying process. Prequalification: Based on information provided, a lender assesses the level of loan for which the buyer qualifies. Pre-approval: With a mortgage application and a more detailed assessment of the buyers’ financial situation, a bank has agreed to qualify the buyer for a loan of a certain amount. A buyer with a loan pre-approval, is often considered as a serious buyer by real estate agents. However, the underwriting of the loan has not yet taken place. Loan Commitment: The bank has underwritten the loan and agrees to lend the money assuming that all of the conditions outlined in the loan commitment letter are properly addressed. Clear to Close: All of the conditions applied in the loan commitment and other relevant documents have been met and the lender has fully approved the loan. If a buyer is not sure of their current status with the lender or the meaning of any communication they receive from them, the buyer should clarify the situation with the loan officer. The real estate agent should be able to help translate the relevant documents, and if the buyer is also working with an attorney, he or she should also be able to assist. Keep in mind that other factors can still scuttle the buying experience even after the clear to close letter has been issued, based on any conditions that changed in the time period between the clear to close letter and the actual closing. For example, if the buyer makes other large purchases, forgets to pay a bill, or opens new credit accounts during that sensitive period, their level of repayment risk changes from the original underwriting and the bank may reassess the situation. (Of course, the seller can also introduce curveballs at or near the closing). The clear to close letter represents the passing one of the major hurdles in the home-buying transaction, but it isn’t the last one. Getting all the way through the subsequent closing process can test a buyer’s patience, but by keeping focused on the upcoming closing proceeding, they will soon have new house keys in their pocket and a smile on their face. Adapted from an article on moneytips.com.